During her interview with Andy Cohen on Bravo's "Watch What Happens Live" Sunday night (April 13th), Mrs. Leakes was asked who she thinks should leave the show and why...but her response was quite the revelation. NeNe say that although her rival Kenya Moore is a sh*t starter, but she's good for causing drama (great for TV) and also believes that her once bestie Cynthia "brings nothing to the show and blows wherever the wind blows." "She’s okay…We’re just not cool anymore. 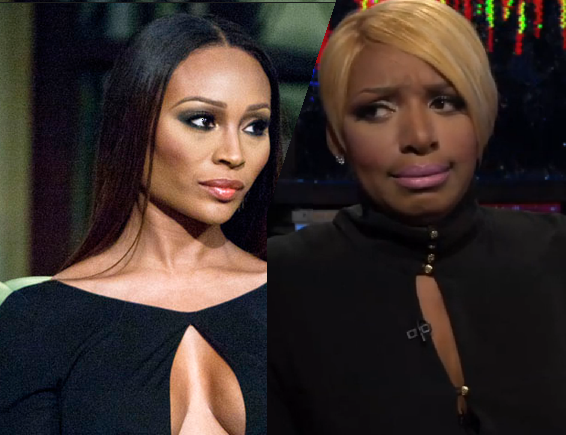 She tends to play the victim," NeNe said about Cynthia. After the way NeNe was talking, we’re more than ready to find out what happened at the reunion and find out what really happened between Cynthia and NeNe, along with Porsha Stewart and Kenya's fight. NeNe did say that though Kenya kept on figuratively pushing Porsha, and her behavior caused Porsha to reach her breaking point.